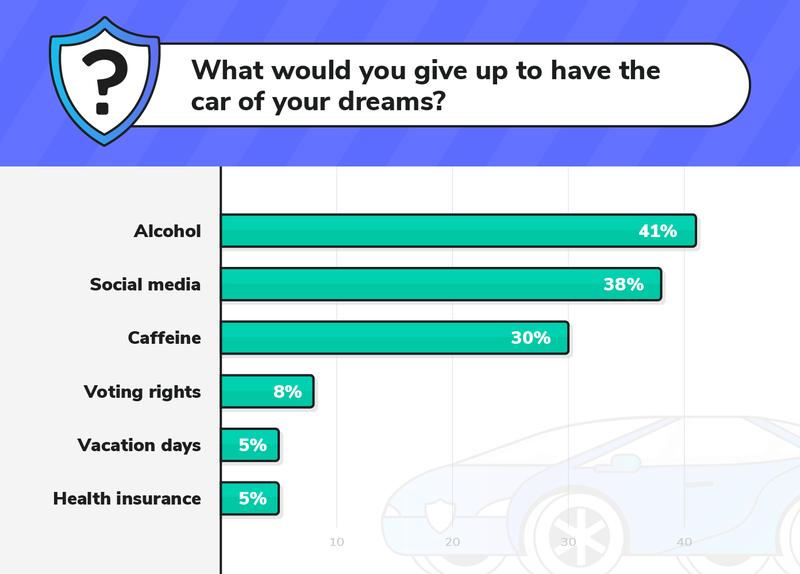 [Study] What Would Americans Give up to Have Their Dream Car? Everyone has their idea of the perfect dream car. From a luxury sports car to a powerful off-roader, most people at one time or another have imagined themselves in the car of their dreams. One study even concluded that Americans fantasized about Mustangs, Teslas, and Jeeps more than any other car. But do Americans actually expect these dream cars to someday become reality, or are they resigned to the idea that they will remain fantasies? If they don’t think it’s possible to get their dream car by themselves, what would they be willing to do in exchange for that car? 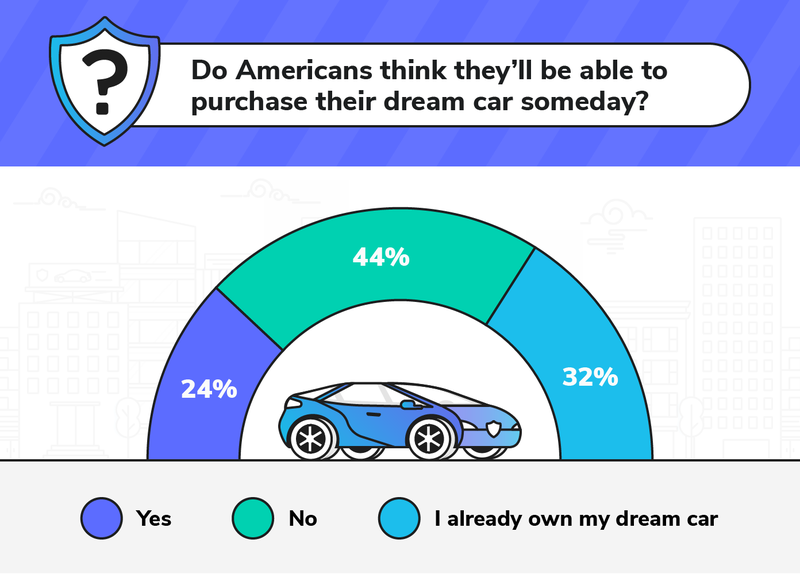 Though 44 percent of Americans aren’t optimistic about the odds of owning their dream cars, over half either say they already own their dream car, or believe they will eventually. With theaverage annual costof owning a car at a whopping $8,500 in 2017, this comes as a surprise. Given that $8,500 is much lower than the price of owning a luxury vehicle, such as a Chevrolet Corvette ZR1 — with a six-figure starting price — the cost of a dream car could be relatively exorbitant. If 44 percent of Americans don’t think their dream car will ever be attainable, what would they do to make that dream reality? We wanted to know how badly Americans want their dream car, so we offered them a choice. What would they sacrifice to have their dream car free of charge? Sixty percent of respondents said they’d give up at least one of the following things in exchange for their new wheels. 2 in 5 Americans would give up alcohol or social media for the car of their dreams. 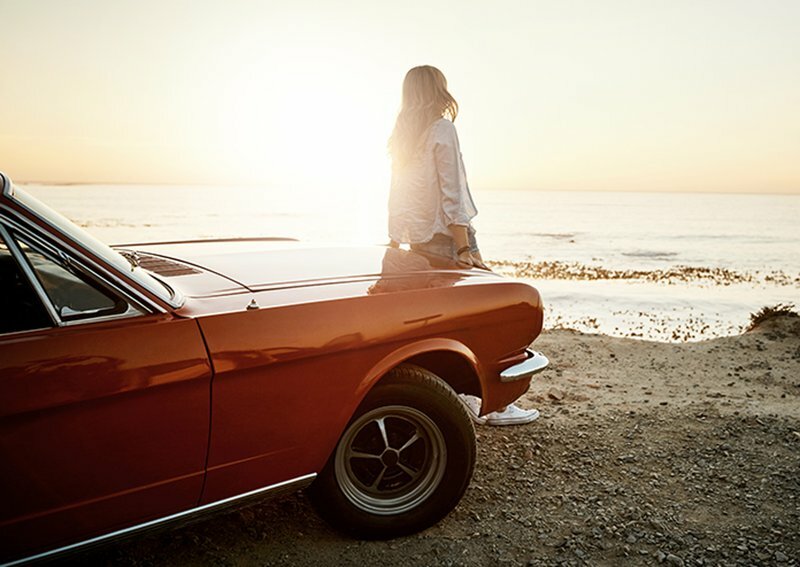 Even when adjusting for the respondents age 18–20 who cannot legally drink alcohol, nearly half of Americans said they would forgo alcohol for their dream car, with women 42 percent more likely to trade alcohol for a dream vehicle than were men. With nearly 77 percent of Americans using social media, we were surprised to see that almost 40 percent of Americans would give up their Facebook, Twitter, and Instagram accounts for their dream car. 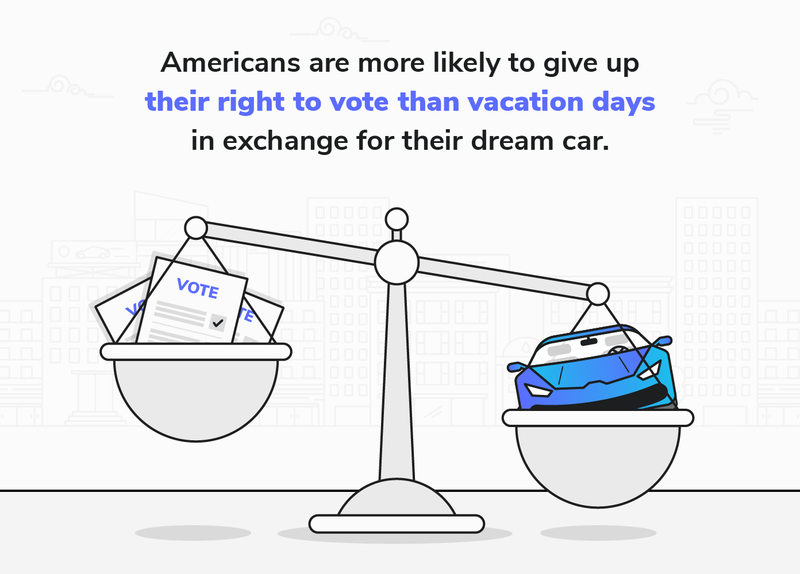 Americans valued their vacation days over their voting rights by 38% when deciding what to give up in exchange for their dream car. Women in particular were twice as likely to give up their vacation days as men. For a car driven 15,000 miles a year, average ownership costs were nearly $8,500 in 2017. That adds up to an average monthly bill of only $523. For a “dream car,” that monthly payment would likely be much higher. Let’s take a look at the Chevrolet Corvette ZR1 we mentioned earlier. With a starting price of $123,090, these cars are nothing short of luxury. Unfortunately, that luxury comes with a steep monthly price tag. Using the average interest rate for an auto loan and taking out a loan for the full price of the ‘Vette, car payments come out to a whopping $2,279 every month, or $27,348 annually for five years. That’s nearly half of the average American’s salary in just one year. As a result, when looking at how much the average American spends on alcohol or coffee, it’s no wonder many don’t hesitate to give up everyday luxuries for their dream ride. Though you may not yet be able to afford your dream car, there’s plenty of options for making the most of your current set of wheels. Have your car maintained and serviced regularly, keep it clean and organized and always carry updated insurance with you while driving.